The nonwoven bottle cooler bag is ideal for transporting cold wine and softdrink bottles. The cooler bag is a popular with our retail alcohol store clients and local wineries. The inside of the bag contains an economical but effective foil lining, and there is a zipper that runs across the top of the bag to secure the bottles inside. The print area on this bag is relatively constrained, at only 70mm wide. We suggest clients make their artwork tall and skinny to optimise their branding's effectiveness on this product. 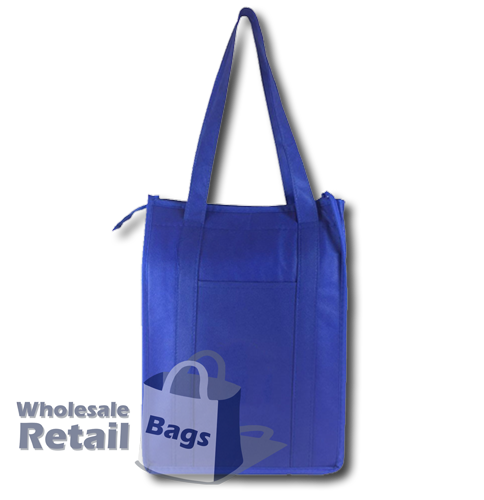 We also carry a standard nonwoven cooler bag. Screen printing up to 1 colours, or full colour digital.